The University of California Press has made 700 books available for reading free of charge. OpenCulture has the story. The University of Chicago Press also provides some free material. The OpenCulture page also has a number of links to other resouces that provide free media including eBooks, audio books, and movies. If you have a Kindle reader, check out dailyfreebooks for thousands of free eBooks including promotional copies as well as copyright expired material. Of course, don’t forget Project Gutenberg, the “first producer of free ebooks” based on volunteer efforts. Then there is the local library. Did you know many loan books for eBook readers? For example, you can find a book at the Washoe County Library website and it will not only tell you which branch has the book available or allow you to place a hold on the book, it will also tell you if the book is available in the electronic edition. To help you out, there are even workshops such as the one at the North Valleys Library branch on January 18. What is nice about the electronics media revolution is that you can haul around significant personal libraries and not burden your RV. Thousands of books or movies will fit in a typical backup drive or eBook reader or tablet. 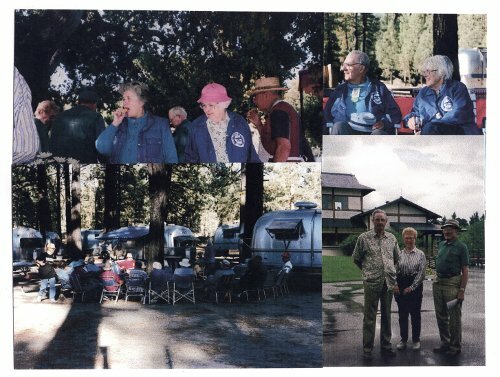 The Monterey Bay Unit put together a restrospective calendar – 11 years ago! The calendar has been scanned and broken into 3 PDF (rather large) files. See the 2002 MBCU Calendar index page. Eugene Volokh reports that “Today’s Morris v. U.S. Army Corps of Engineers (D. Idaho Jan. 10, 2014) strikes down an Army Corps of Engineers regulation barring possession of loaded guns in recreation areas surrounding Corps dams.” In this case, a tent was considered akin to a home. Second amendment rights are protected in homes. An RV is also “akin to a home” so a firearm you have in it should fall under the same judgment. Whatever your opinion, if you do have firearms with you on your RV experience, make sure you maintain your shooting skills, keep up to date with laws and regulations where you travel, maintain the equipment in good condition, and store it properly for travel. The location for the January lunch at the Hometown Cafe is just north of Reno off Hwy 395, exit 74 in Lemmon Valley. The date is Saturday January 25, 2014, time is 11:30am. Please let us know if you plan to attend. Email hq@sierranevadaairstreams.org or call 775 972 5011.